In early August I took my first and only trip to Plum Island for the summer. I was hoping to catch the front end of the fall shorebird migration, and while I saw a fair number of sandpipers, the breeding colony of terns was the real highlight. In general, I find terns to be a tough bird to approach, even with my standard slow-motion belly crawl. On this day, however, I was lucky to find a small group of common terns that were rather indifferent to me and let me crawl close. Unfortunately, I was only able to enjoy a few short minutes of photographic excitement before a beach runner came jogging by and ended my fun. 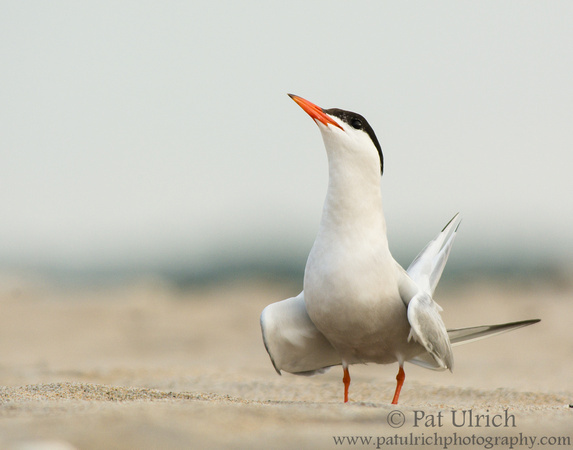 View more of my photographs of terns.